When you publish recipes on the internet sometimes they grow wings and fly around to places you (I) never expected. In 2001, back when we still ate wheat, but after I was diagnosed with PCOS, and trying to increase my use of whole wheat flour, I wanted a chocolate chip cookie that my kids would love but that would be cheap enough and healthy enough that I could eat them too. I worked for a couple of months on this recipe, making it 7 times before I got it right. I had read about replacing the fat in baking recipes with yogurt, which I used to make every week because it was nutritious and the kids ate it without complaint. So I tried using yogurt for half of the fat in my favorite chocolate chip cookie recipe and was really surprised when it worked. Later I reduced the sugar by about 1/3 and was amazed that the cookies still tasted so good. 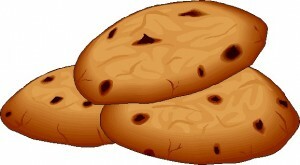 For many years, this was the chocolate chip cookie I used as our mainstay. While surfing the web recently, I found my recipe in a lot of government publications and was quite flattered that this particular recipe had grown wings to fly so far. And also that nutritionists specializing in economical, healthy food found my recipe acceptable to their standards. In my original recipe, I included an egg. But the way I wrote the method didn’t include adding the egg to the batter. I accidentally left that part out, which is why I believe some of the versions of this recipe include an egg, and others do not. That was a mistake on my part. These cookies really do turn out best if you add an egg to the batter to keep everything behaving properly in the oven. You can find copies of this recipe all over the web now days, most notably HERE (page 10). Their recipe doesn’t turn out because they left out the egg which was included in my original recipe. I have yet to make this recipe with GLAD flour and Tofu-yogurt, but I suspect it will turn out fine. First melt the margarine or butter. Some folks do this in the microwave, but I prefer do it in a small pan over low heat on the stove. In a large bowl combine the margarine or butter, brown sugar and yogurt (and egg). Add the vanilla and mix everything very well with a wire whisk. Stir in the flour, baking soda and salt. Add the chocolate chips and stir to distribute them evenly. Drop the dough by rounded tablespoons onto a cookie sheet sprayed with non-stick spray. Dip the bottom of a flat cup into water and then use it to press the cookies flat. You have to do this because the cookies don’t have enough fat to spread the way cookies normally do. Bake at 350°: 10 minutes for soft cookies or 15 minutes for crisp cookies. Cool slightly before removing from the cookie sheets. Makes about 3 dozen. Use 1-tablespoon of dough for each cookie. They are very good; my boys adore them, even though they’re healthy. Per Serving: 87 Calories; 4g Fat (41.1% calories from fat); 1g Protein; 12g Carbohydrate; 1g Dietary Fiber; 6mg Cholesterol; 69mg Sodium. Exchanges: 1/2 Grain(Starch); 1 Fat; 1/2 Other Carbohydrates. I have a small collection of economical, nutritious, low sugar, low sodium, low fat, whole grain rich desserts that are really, really good. Good enough that you don’t mind eating them if you’re not on a diet. 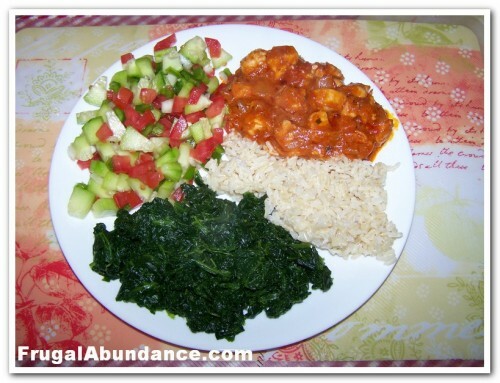 Big enough that you never feel deprived or frustrated by portion size. When I say that my peach crisp is good, I’m not joking or anything. This stuff is delicious and nutritious enough that I confidently allow my kids to eat it for breakfast. And they feel like they’re getting away with something. I won’t tell them if you won’t. This stuff is amazing. 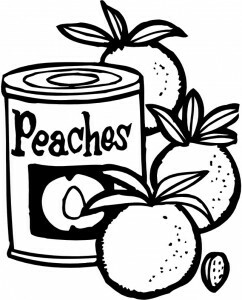 Open up both cans of peaches. 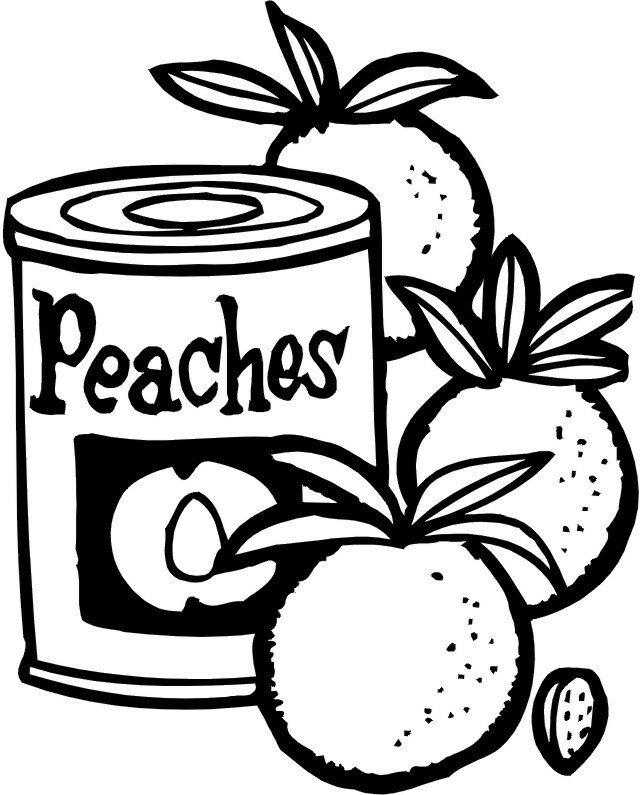 Drain the juice out of the can and into a large (3-quart) saucepan. Set the peaches aside. You’ll need them in a bit. Add the lemon juice, cornstarch and sugar to the pan of peach juice. Stir it up with a whisk until the cornstarch is dissolved and the peach juice is milky looking (from the cornstarch; don’t worry it will clear up when it boils). Cook and stir the mixture over medium heat until it comes to a boil. Allow it to boil for a minute or so, stirring all the while. It will be unusually thick. Stir in the peaches and turn off the burner. Meanwhile coat a 9-inch square pan with solid shortening or no-stick spray. In a small bowl combine the margarine, oats, flour, brown sugar and cinnamon. Mix with a fork until crumbly. Turn the peaches into the prepared 9-inch pan. Top evenly with the oat mixture. Bake at 400° for 30 minutes, or until the top is crispy brown and the peaches are bubbly. Serve while still warm for best flavor. Although cold leftovers turn out to make a pretty tasty breakfast. Cut the pan 3 by 3 to make 9-servings. Per Serving: 276 Calories; 6g Fat (18.7% calories from fat); 3g Protein; 53g Carbohydrate; 3g Dietary Fiber; 0mg Cholesterol; 94mg Sodium. Calories By Percentage: 19% Fat; 76% Carbohydrate; 5% Protein. Exchanges: 1 Grain(Starch); 2 Fruit; 1 Fat; 1/2 Other Carbohydrates. This was a rough day, but I kept track of what I ate, so “atta girl’s” for me. I ate extra veggies for lunch. I planned a relatively health sweet-treat in a large enough quantity that I wouldn’t feel deprived. For me that was 2-serving. Only then I ate 3 servings before the day was done. I am not beating myself up. I am managing this week to the best of my ability and then I am rejoicing when my appetite returns to normal and my cravings disappear. Over the years I’ve noticed that one of my biggest triggers is Fred cooking for me or offering me food. He does it as a form of cherishing me, of providing for me. I am a great big sucker for Fred looking down at me all sweet and earnest and offering me a bowl of something and saying “I made it for you.” and then grinning shyly as I taste it. I bend like a cheap popsicle stick under a clunky homemade pudding pop. Fred is my weakness, and I think that’s as it should be. He made the chili for dinner, with lots of chunky vegetables and dried beans and I really enjoyed it. Fred is a good cook. Then he was out, visiting friends, and came home with nearly a dozen fresh, delicious, store-bought donuts. He fidgeted on his feet, looking at me, telling me that he didn’t know if he should offer me any or not. That he knows I’m trying to stick to my food plan, but that these poor, innocent donuts just jumped into his car and he couldn’t very well leave them on the street. I mean, Just imagine what could happen to them all alone on the harsh streets of our small town. Why anyone could take advantage of them! 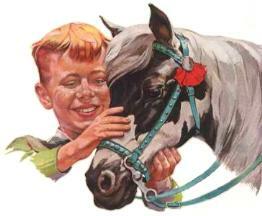 So Fred, being the nice guy he is, brought them home where they would be safe and warm and protected, in his belly. I grinned, and laughed with him, because Fred is the love of my life and he is my best friend and he is also a compulsive over eater who will accidentally sabotage me (subconsciously) and it’s not like he can control that, and I am certain he never does it on purpose. He just loves me and gets mixed up sometimes in the way he expresses it. So I covered the box with a clean pillow case so I couldn’t see it, and promptly forgot they were there. With all of their wheaty, sugary, fatty goodness. Instead I had a 3rd serving of peach crisp before bed. This left me at 1800 calories for the day, which while not ideal, is a far sight better than a donut binge. So instead of beating myself up for not being perfect, I am thanking God for the ability to say no to donuts which have the added goodness of being provided by my sweet, sincere, and adorably fuzzy Freddy Bear. Who I often want to kick and kiss in the same breath. Must be true love. Recipe for peach crisp coming later today. Per Serving: 1822 Calories; 39g Fat (19.2% calories from fat); 80g Protein; 292g Carbohydrate; 27g Dietary Fiber; 166mg Cholesterol; 3020mg Sodium. Calories By Percentage: 19% Fat; 63% Carbohydrate; 17% Protein. Exchanges: 9 Grain(Starch); 7 Lean Meat; 5 Vegetable; 6-1/2 Fruit; 5 Fat; 2 Other Carbohydrates. 1600 Calories. Gluten Free. Dairy Free. Low Cost. Low Calorie Menu. I did go ahead and waffles for the kids, and I ate 2 of them. The batter made 16-waffles that were about the size of a slice a bread. Like the size of frozen waffles. I got a new electric waffle iron for Christmas and the kids have been really anxious to get waffles as often as possible, so I guess I’ll try to indulge them once a week, but not more often than that. I ate the waffles plain, like toast, with my eggs and sausage. They were good, but they are fatty. Someday I’ll make a low-fat, gluten-free waffle, but not today. It’s getting to be my PMS week when I have terrible cravings that I cannot control. So I’m working overtime to pray for my cravings to diminish, for my ability to stick to my food plan, and for me not to lose any of the progress I’ve made. I won’t actually lose any weight (at least I don’t think I will) until after my period is over. For the next two weeks the best I can hope for is to maintain my progress, and stick to the program I’ve set for myself. This is when I white knuckle it every month. It is so blasted hard. To try to keep myself on track as much as possible, I am allowing myself 1600 calories a day for this week, instead of 1500. I’m including more starches, because that is what I crave. Plus really upping the veggies because they keep me full. I am not happy unless I am really full this week, so I’m just trying to manage my PMS as best I can. I’m going to try to eat more soy products, because they tend to help me manage my physical and emotional symptoms. This is the week that always breaks me. My plan is to continue, even if my eating gets chaotic, because I plan to keep doing this, even when I have days that go wonky. No every day can be perfect. But I can keep doing the actions, the behaviors, that I know will help me in the long run. Per Serving: 1638 Calories; 46g Fat (24.6% calories from fat); 94g Protein; 225g Carbohydrate; 35g Dietary Fiber; 240mg Cholesterol; 1808mg Sodium. Calories By Percentage: 25% Fat; 53% Carbohydrate ; 22% Protein. Exchanges: 6 Grain(Starch); 9 Lean Meat; 10 Vegetable; 3-1/2 Fruit; 6 Fat; 1-1/2 Other Carbohydrates. 1500 Calories. Gluten Free. Dairy Free. Low Cost. Low Calorie Menu. The family loved the chicken tacos so much they demanded a repeat. I enjoyed them too, so I complied. But this time around I used a lot more chicken in each of my taco shells. This morning I was so full I couldn’t even think about food, so I had coffee and fruit. Lunch was before noon, so it turned into brunch instead. We finally used up the last of the fresh pineapple I found on sale for $2 each. I am sad to see it go. I did find a cantaloupe for less than $2 though, so I’m happy about that. It will be good for breakfast tomorrow or the next day. I need to cook up a pot of beans this week. Not sure which type or what I’ll do with them yet, but when I figure it out, I’ll plan it into my menus. The kids are begging for waffles or pancakes soon. I don’t know if I will eat them or not. I may prepare them for the kids and not eat them myself. Waffles especially might be triggering for me to overeat. Maybe if I serve them with eggs and turkey sausage, then I’ll be full enough not to over-indulge. Maybe with some frozen blueberries turned into a healthy topping instead of my normal molasses or jelly. I will pray over it, I guess, and see how the Lord leads me. For dinner, I was really reluctant to make the salad for myself, through pure laziness. I did it anyway, and I gotta say, it really did taste good. I’m glad I went ahead and did it. Self-discipline is not my strong suit, so every little victory is HUGE in my eyes. I’ve been praying everyday that God help me stick to my food plan, and so far my results have far exceeded my expectations. It seems like it should be easy. Plan what to eat and then go ahead and eat it. In practice though, ai-yi-yi. It is soooooo hard! I know that it wasn’t me who allowed myself to make that salad tonight. It was God giving me the boost I needed, when my own strength was too small. I can do all things through him which strengtheneth me. Amen. Per Serving: 1490 Calories; 53g Fat (30.8% calories from fat); 81g Protein; 189g Carbohydrate; 29g Dietary Fiber; 181mg Cholesterol; 2135mg Sodium. Exchanges: 4 Grain(Starch); 8 Lean Meat; 7 1/2 Vegetable; 5 Fruit; 0 Non-Fat Milk; 7 1/2 Fat; 1/2 Other Carbohydrates. This is a quick note to Beth with an upcoming wedding, who used the Contact Me form. Sadly I am unable to respond to your gmail account. Gmail will not allow me to send a reply to you. You can send me a different email address through the same form, and I will get back to you. Gmail is simply incompatible with my current email server. Gmail recently made some improvements and they have made it so I cannot get an answer through to you. I didn’t want you to think I was ignoring you. Hello. My name is Maggie and I am a compulsive overeater. The problem with overeating compulsively is that I tend to underestimate portions of food when I eyeball them. For instance, a tablespoon of margarine looks like a teaspoon to me, especially when I just scoop it out of the tub. Half a cup of cooked rice, looks like 1/4-cup to me. When I eyeball my portions, I always put more on my plate than my food plan recommends. So, to stay on my food plan, and to keep myself honest, I have been weighing and measuring every single morsel of food that goes onto my plate and into my mouth. I gotta say, I absolutely HATE doing this. It makes me feel resentful and angry and frustrated. I think I “should” be able to simply put a pat of margarine into my skillet when I make my eggs in the morning, and it should miraculously be the 1-teaspoon I’ve budgeted for in my food plan. I think that only “hopeless cases” have to resort to measuring their food. I “should” be able to simple eat what I want, when I want, in quantities that seem appropriate at the time and then everything will work out the way it should and I will miraculously be 120-pounds with a BMI of 20. In reality, when I simply eyeball all of my measurements and go by appetite alone, I wind up weighing 240-pounds with a BMI of 40–which is officially morbidly obese. It turns out that in fact, I am one of those hopeless cases that I am so worried about becoming. I was so busy denying that I needed to weigh and measure my food if I really wanted to lose weight, that I allowed myself to turn into that which I fear most. A frightened, frustrated, morbidly obese middle-aged woman who was frantic, afraid and absolutely crazy when it came to food. Jiminy Cricket! I thought I was better than that. I think I have finally figured out that it is pride that keeps me (or has kept me) from surrendering to the obvious. I do not have normal or sane reactions to food. I do not see food the way “normal” eaters see it. 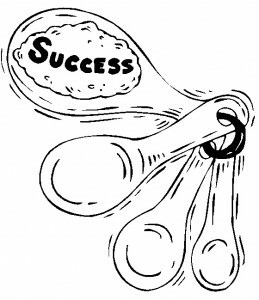 I’ve used that to my advantage over the years, creating my website and blog. I’ve also let it take advantage of me, turning me into a 240-pound, unhappy woman. That’s where I was when I started my weight loss journey in 2013. Since then I lost 60-pounds, gained 9 of it back and am now restarting with a goal of losing 69 pounds. I want to go from 189 to 120, which is what my health care professionals have recommended as the best weight for me in order to relieve the symptoms of my PCOS. Which brings me back to food. I don’t think it’s cheap food that makes people fat, or at least, I don’t believe it has to. I think it’s the way we (I) look at food, especially when we’re living on a low-income, that leads to overeating and obesity. When I have been my poorest, food has been one of the sole comforts available to me, with all of the added stressors of not having enough resources to meet my and my family’s needs. Poverty has lots of stressors that are not experienced by people who are not poor. There’s the stress of making sure you have enough money to wash your clothes, including being able to afford laundry detergent. I remember counting my change to get $1.08 so I could buy a small box of laundry detergent to wash Fred’s work clothes. Work clothes are a high priority. Fred needed clean clothes in order to go to work, so he could provide the money we needed to live. It’s hard to go to work in dirty clothes, not to mention demeaning. I searched the car and under the couch cushions to gather enough money and almost cried when I was a nickel short. I was so angry, so frustrated that I grabbed up my broom and began sweeping the porch furiously while I fussed and fumed to God about how we were trying to do the right thing, but that no matter what we did, it always seemed like something set us back from where we were trying to go. As I ranted at God, my eye caught something shining on the sidewalk. I looked down and found a nickel, exactly what I needed, gleaming at me in the sunlight. I cried again, only this time in relief. God has always provided for me, even when I forgot I could to turn to him for help. Being poor is extremely stressful. Determining which bills to pay and which to let go another month. Or not having a reliable vehicle to get to where you need to go, much less having the cash to buy gas so you can drive it, plus cash for the insurance to make it legal. Driving without insurance is extremely stressful. Not that I would have firsthand knowledge or anything. Nope, not me. When there is no easy way to wash clothes, plastic diapers almost become a necessity, and making sure you don’t run out adds extra stress to the normal stress of raising children. The most basic elements of living become adventures in making do, such as stretching out the toilet paper to make it last until payday. People with enough money to pay their bills, never worry about running out of toilet paper and not being able to afford to buy more. My point is that when life is filled with so much stress, its easy to turn to food for comfort and solace. All of life’s problems are easier to endure with a full belly. What happened to me though, what happens to a lot of people who live on a tight budget, is that we take this to the extreme. We start eating to help us deal with the stress of living the same way some people turn to alcohol or cigarettes or drugs. We do it as an escape, to lift our moods, to avoid having to feel the depths of our anguish over life’s problems. Food, which can be an appropriate comfort at times, turns ugly on us and it starts controlling us and our behavior, instead of us controlling it as a normal part of living on a budget. For me to take back the control that food has over me, I have to weigh and measure my portions. I have to plan them in advance. I have to dirty up a teaspoon by using it to scoop a single, level teaspoon of margarine out of the tub before I use it to fry my eggs. Then I have to wash that dirty teaspoon, dry it and put it away so I can be prepared to do the same thing again tomorrow morning. I am coming to realize that I may have to weigh and measure and plan my food for the rest of my life if I want to achieve and maintain a healthy body weight. That is a daunting idea. Definitely overwhelming enough to prevent me from even starting to measure and plan my food in the first place. I think that is where the old saying “One Day At A Time.” comes into play. While the idea of weighing and measuring (and planning) my food for a lifetime seems impossible, just doing it for today is an achievable goal. I don’t have to do it forever. I only have to do it for today, for this meal. For this moment. I don’t have to worry about forever, as my days add up, forever will take care of itself. All I’m really responsible for is today. Forever takes care of itself, if I take care of today. One day at a a time. My pride has kept me from making the effort to weigh and measure my food for the past year, putting me in a weight-loss plateau at 180-pounds for over a year. I think I am finally able to set aside my pride, admit to myself that I cannot lose the weight if I will not do the work, and humble myself enough to weigh that blasted teaspoon of margarine every morning, so I can fry my eggs. Then I measure my soymilk and my coffee. Then I measure the egg whites before I fry them. When I’m done I know that I’ve only eaten the portions I planned. Even though I feel resentful about measuring it all, and even more resentful when I have to wash, dry and put away all of those measuring cups and spoons, I am also grateful–even relieved. I’m comforted with the knowledge that I’ve prepared and eaten what I’m supposed to. I’ve stuck to my budget. I’ve stuck to my food plan. I’ve lived within my means and I’ve eaten within my calorie limit. It’s a pain in the neck, but there is a peacefulness around food that I am still unaccustomed to feeling. I don’t have to second guess myself or feel guilty for not doing it right. I breathe a sigh of relief because I have let go of my pride, let God come into my food plan, and humbled myself to go His way instead of following my own carnal desires for gluttony, (and boy howdy! do I have carnal desires for gluttony). It’s definitely not easy. 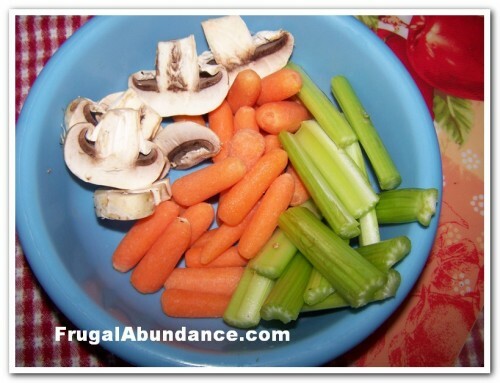 For me, following a food plan is harder than sticking to a budget. But I try to live by faith. Allowing pride to keep me stuck is the opposite of living by faith. So I set aside my pride, and allow faith to reign instead. I trust that the effort is worth it in the end. Even when I don’t have the gumption to do something myself, I can trust God will make up the deficit. The same way he gave me that nickel way back when. 1500 Calories. Gluten Free. Dairy Free. Low Cost Low Calorie Menu. Today’s menu was extremely filling. Either that or I wasn’t as hungry as I sometimes am. Breakfast had to be fast and easy because my Saturday mornings are busy. I walked 4-miles with a friend at 8am, then had coffee with another friend, then made it to an OA meeting, then a quick shopping trip to Walmart (where I FORGOT my meds. Doh!). Home for lunch and then toting youngest son to his BFF’s in a nearby town. Home again and shopping with oldest son (where I STILL forgot to pick up my meds. Double Doh!) Our regular Kroger is in the process of remodeling so they didn’t have the vegan cheese we use, meaning we had to make a second trip to another Kroger. Finally home in the late afternoon. 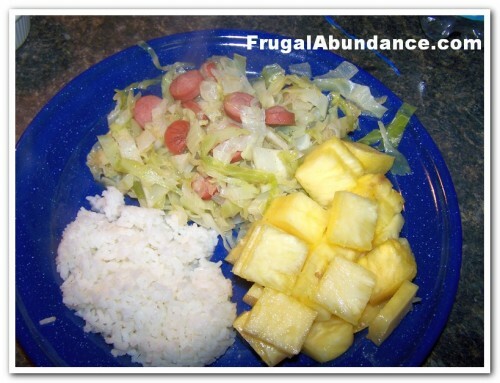 I made hot dog and cabbage stir-fry, which is delicious, fast and cheap. Plus the family never complains. And then glorious bed where I read for a full hour and a half before dropping off to dream land. I’ll finally pick up my meds tomorrow. Most books and websites about healthy diets forbid the eating of hot dogs. I am a rebel and I eat them anyway. I think they can be part of a healthy diet, especially if you eat the ones made from turkey. Alas, tonight they were the cheap all-beef ones I get from Sam’s Club in giant 10-pound boxes. Although they have more fat than turkey dogs, my family likes them a lot more. One of the problems with this day’s menu is that it is much higher in salt than I usually try to manage. The dill pickle at lunch and the hot dogs both raised my sodium numbers up far higher than I prefer. Per Serving: 1414 Calories; 45g Fat (27.9% calories from fat); 82g Protein; 181g Carbohydrate; 22g Dietary Fiber; 88mg Cholesterol; 2865mg Sodium. Calories By Percentage: 28% Fat; 50% Carbohydrate; 22% Protein. I eat hot dogs and I am not ashamed. 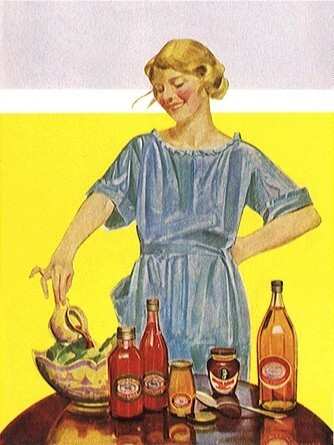 When I lived in Minnesota as a teenager the German farm families often served hot dogs and cabbage with noodles, sometimes in a hotdish or casserole. 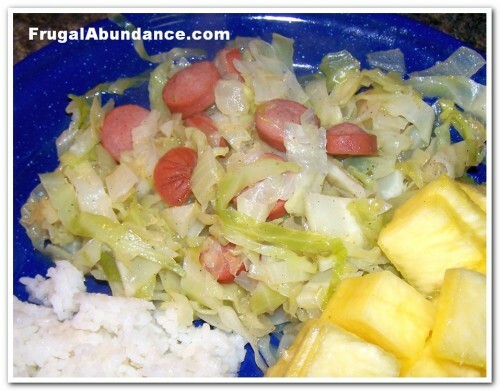 Sometimes the cabbage and hot dogs was a side dish, sometimes a main dish. Coming from the South, I found this very strange treatment for hot dogs and for cabbage. Eventually I become a convert, and now it’s fast, easy comfort food. I’ve since learned that in Pennsylvania Dutch or Amish families (who are also German) fried hot dogs and cabbage are a common meal. In this recipe I’ve reduced the fat content by frying everything in a few tablespoons of water, instead of traditional bacon grease or vegetable oil. If you are not dieting, then you can replace the water called for below with vegetable oil or other fat. Begin by chopping a lot of onions. Use more than you think you need. They make the dish extra good. Coat a large, deep skillet with non-stick spray and add the onion. (If you are using vegetable oil, add it now too,) Start them to frying over medium heat. Slice your hot dogs. Add them to the skillet. Stir them up with the onions and allow them to fry for 5 to 8-minutes, or until the onion is tender and the hot dogs are succulent. Meanwhile chop the cabbage. Add the cabbage to the skillet along with the black pepper and water. Don’t bother stirring yet, the cabbage will be huge and unwieldy. As it cooks it will shrink and become more manageable. Place a lid on the pot and steam the cabbage for 5-minutes. Stir well. Cover again and steam for a few more minutes, or until the cabbage is done to your liking. Serve with a side of cooked rice or boiled noodles. Apple slices are a good side dish. Assuming 4-servings, prepared with 12-ounces of all-beef hot dogs and no added vegetable oil. Per Serving: 333 Calories; 25g Fat (65.6% calories from fat); 13g Protein; 16g Carbohydrate; 5g Dietary Fiber; 52mg Cholesterol; 900mg Sodium. Exchanges: 1-1/2 Lean Meat; 2-1/2 Vegetable; 4 Fat. Now, to compare the advantages of using turkey dogs, here is the same recipe, with the nutritional data calculated using turkey hot dogs, which are not only more affordable but also much lower in fat. Per Serving: 258 Calories; 16g Fat (51.2% calories from fat); 15g Protein; 18g Carbohydrate; 5g Dietary Fiber; 91mg Cholesterol; 1097mg Sodium. Exchanges: 1-1/2 Lean Meat; 2-1/2 Vegetable; 2 Fat.